What on God's green earth just happened? Every season, Leafs fans are entitled to one solid rant about how absolutely pathetic their team looked in the previous game/week/month. Consider this my once-a-year-rant about the [insert expletive here] game the Leafs played in Philadelphia on Wednesday night. Seriously, it was like watching NBA behemoths playing keep-away from small children. I'll only do this once this season, so bare with me while I hold no punches and lash out at everything bad that was part of the 6-2 debacle. You may feel the same as I do, or you may scoff at my apparent inability to deal with a loss, but in either case I know you felt my pain as each goal against made it harder and harder to breathe. Just give me this one chance to let it all out. Consider it my annual Leafs therapy session that is necessary at the mid-point of each season. No, I've got one better. Consider this the screaming into the pillow you did postgame, but without the pillow; I'll try to form sentences that are understandable. Let’s get on with it then, for tomorrow is another game, and my passion and belief in the team will once again be restored as always. But for now, let the play-by-play bashing begin. Here’s how I saw the game, and the emotions that I no doubt felt along with other Leafs fans. The game, if you can call it that, was dreadful from the start. A 2-0 early deficit for the 22nd time this season. Really? 22 times? It actually takes skill to be that bad at the beginning of games. I really want to witness first hand how the pregame talk goes in the locker room. Do they immediately begin with, "after we're down 2-0, we'll go with...?” Honestly guys, it can't possibly continue, comeback or not. It began with an early penalty kill situation, which is completely normal in a game; it's just too bad that by the time the puck was dropped in their end, and I sneezed, it was already 1-0. Solid PK guys, solid PK. And get this surprise of the century—the Leafs were terrible on the penalty kill all night. What? I know, shocking. They allowed three power play goals in six chances. There's no cup half full situation when it comes to being 50 percent in a game on the PK. The second Flyer goal was just special in my opinion, because I actually thought to myself mere seconds before it happened, "okay boys, less than a minute to go, just keep it out of our net." Things looked promising too; Blake had the puck and was skating it up the boards out of our zone when, with maybe three feet from the blue line and himself, he decided to stop, get hit, spin and send the puck right into the middle of the ice. I heard the words, "oh boy," come from my mouth. Danny Syvret took the perfect pass to his stick, skated in, and launched a rocket past a perfectly screened Jonas Gustavsson. Oh, and Luke Schenn, that screen was picturesque. So with 51 seconds left in the first, it was the usual come-from behind talk that started up, as the Leafs were once again trailing early. The second period seemed slightly better, well, on the score board anyway. The Flyers were buzzing around the net, whisking passes by the stunned Leafs defense, but Gustavsson stood on his head when he was called upon. Then it happened. One of those moments you never thought you'd see, but when it occurs you want to punch a baby, while at the same time drowning a bag of new-born kittens. Daniel Carcillo came in with the puck, your average 2-on-2 situation, with Luke Schenn directly in front of him. A seemingly simple situation, since Carcillo had two more goals than Schenn on the season at the point, and is usually little threat around the crease. But Schenn decided to make things interesting, and for some reason he quickly dropped to the ice while propelling his stretched-out body to slide perfectly into the corner. So with Schenn eliminating himself from the play with his slip-n-slide move, learned at the Aki Berg School of defense no doubt, Carcillo had a clear path to the net. And with only Tomas Kaberle there, who along with the no-trade clause in his contract also has a no physical contact clause, simply let Carcillo slide on by, almost fall, make a move, and slip the puck past a sprawling Monster. It was at this point that I glanced around the room looking for something to throw. I was getting the same feeling I have whenever I think of the Brad Boyes for Owen Nolan trade; that sickening "kill me now" type feeling. Thankfully I was distracted when they showed replays of the goal for the next 32 minutes and I was able to find a little bit of joy watching Schenn slide like a toddler screaming "weeee!" out of the picture. Children at play, how cute. Then it became the Keith Acton side show as he kept a constant shouting match going with Carcillo for much of the period. Thankfully we got up to the minute reports on the verbal battle. Great, Acton is our new tough guy. Rumour has it he once lost an arm wrestling match to his grandmother. This will work out perfectly. Did I mention the Leafs had four-straight power play opportunities in the second? Well, they basically killed them off on their own, skating into the zone, 1-on-4, losing the puck, and repeating. And by the way, is it me, or has Phil Kessel actually forgotten how to play hockey? He has apparently forgotten how to stick handle, make a crisp pass, skate, take a hit, give a hit, and every shift it seems as if he skates one gear slower than the last. His plus/minus in the last 10 games might suggest what gear he's currently on. I'm almost scared of what could be taking place. Please God, don't tell me this is another case of the "prolific-scorer-until-he-plays-for-the-Leafs," like the countless others who have come before, or who currently play on the team (see Jason Blake). It may just be a slump, and how I hope that's just the case, but the way Kessel is playing these days looks like he's simply given up. Every time he softly gives the puck away, I want to scream out in agony. I'm not saying it's all over for the kid, but if he keeps this up, it'll be Wilson and Burke who physically cause agony for him. When first round picks are traded, people get violent. It's not Kessel's fault he was traded for the picks, actually, wait; this is Toronto. Yea, Phil, it's your fault, pick up your game. Philly took their three-goal lead late into the second before it become Colton Orr time. You know, that time of each game where Wilson awards his most useless player on the team with tons of ice time in some sort of effort to teach the players on the bench a lesson? Well, the lesson didn't work yet again, and in true Orr-fashion, he went nuts on Mike Richards, tackling him into the corner with just four seconds remaining in the period. Now, I'm not condemning the fighting or the scrums; I for one love a good, old time hockey brew-ha-ha, but when it comes to Orr and scrums it always seems to be him who gets the penalty. The only penalty. So of course, the Leafs start the third on the penalty kill, and of course it's Richards who gets the power play goal, and of course, as Orr skates back to the bench from the box he gets a serious ribbing from the goal scorer himself. How much worse could this night possibly get? Actually wait, let's back up a minute to the fourth goal, because it was a true beauty, one of Gustavsson's finer efforts. We all know he sometimes over-commits himself out of position, but on this goal the Monster took it to a new level. As the puck was being whipped around by the Flyer players, it came to Gustavsson's right side and he slide over anticipating a shot, the problem was no shot came and he kept on sliding out of the crease. It was passed into the middle of the ice where Richards was waiting with open arms, and before he poked it into the open net, was able to wipe down his visor, tighten his skates, and sign an autograph for Schenn and his brother. By this point Gustavsson had slid so far out of position that he was sitting in the front row, holding a bag of popcorn, and wearing a Flyers jersey. Jonas, stay in your net. Please. Thankfully we had the brilliance of Ray Ferraro (if you watched the game on TSN) who decided to endlessly describe the excellent play of one Rickard Wallin. He felt that the player with no goals on the Leafs had been getting the best chances and was outplaying his teammates. Maybe, but how about this Ray-Ray? The reason Wallin has no goals is because he gets glorious chances to score, like last night, but shoots them either wide or directly into the goalie's chest. Yes, that sounds a bit more like it. Sure, he may have had a good game, but a good game for the worst player on the team is not much to brag about, especially since he did not take advantage of playing on a new line. The guy had two shots on net Ray, calm down. Ah yes, back to the lines. Coach Wilson sure does love switching them up doesn't he? In fact, he may be doing so much line changing these days that players jump on the ice and when they look around for their teammates they don’t recognize them. Kessel actually played with every member of the Leafs forwards last night, and that's the honest truth. Wilson gets so much joy from showing his power in switching lines that he’s single-handedly killing any chemistry guys may have. One bad shift means new lines. Or, it means you sit on the bench and watch Orr take your place; until he takes a penalty, of course. It's actually been scientifically proven that Orr has no idea hockey is played with a puck. He's convinced he's to get rid of that small, round, rubber thing as fast as he can, and hunt down the opposition's biggest player. Seriously Ron, throw out a chair with three legs and it would do more good than Orr does offensively for us. Hope was found just three minutes later when Nikolai Kulemin scored on Michael Leighton for the first time in the game. But Danny Brier was sent in all alone exactly 40 seconds later and put the game out of reach, 5-1. Kaberle scored a minute later (well, they gave the goal to Poni boy, but he never touched it) but it was too little, too late. If you've never heard of Michael Leighton, well, he's the goaltender filling in for Ray Emery while Emery nurses an injury. If you don’t know where he came from, he was the backup goalie for Joe's Plumbing Ltd. Team of the Wisconsin beer league just two weeks ago. Somehow the Leafs managed to score twice on him Wednesday night. 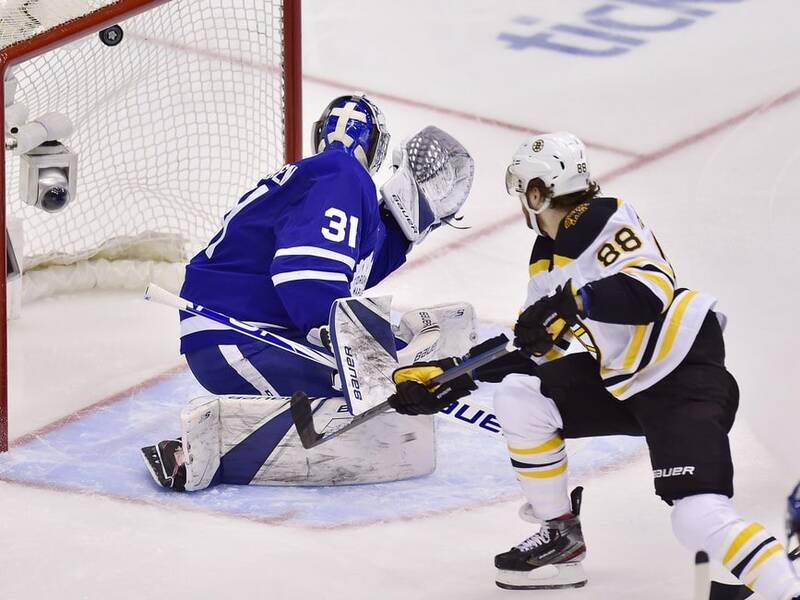 After James van Riemsdyk tipped in the sixth goal (third on the PP) a few minutes later, and the 52 minutes of penalties were sorted out in the period, the Leafs left the ice beaten, bruised, and embarrassed. In a game that would have tied the Leafs in the standings with both the Flyers and the Florida Panthers, it somehow turned into one of the most pathetic efforts a team has given this season. Somehow they managed to equal the Flyers 32 shots on net, but it was no where close to being a good game. The tapes need to be burned and all memory erased of that Wednesday night in Philly, where absolutely everything that could have gone wrong, did. I was left with an odd feeling, one of pure rage, but at the same time, nothingness. I had yelled at the screen, buried my head in my hands, and laughed in sheer disbelieve over and over again for the previous two hours, and I didn’t know what to do. So I did what every other Leaf fan does after he watches a disaster on ice involving their team; I watched the highlights on SportsCenter 15 times. Ah, I fell better now, thanks. I needed that. I need to just let it all out, all the built-up emotion and anger that was trapped inside of me from witnessing that catastrophe. Now back to being a fan, anticipating the next game with the utmost excitement, and defending the Leaf players to a fault. Can't wait for Friday night. It's a huge game for the Leafs, who’ll need the win to keep up with the teams ahead of them. And it's a good thing I got rid of my anger now, because there's no way a game like that could possibly happen again to the Leafs, especially in the same week. There’s just no way the next game could possibly be equally as appalling.